Lottery player Justin Curzi has sued State Lottery of Oregon, along with manufacturers and programmers of video slot machines across the state for $134 million. His Beaverton based attorney Jay Zollinger has stated in his client’s petition that the “auto-hold” promise of lottery website is false and misleading. 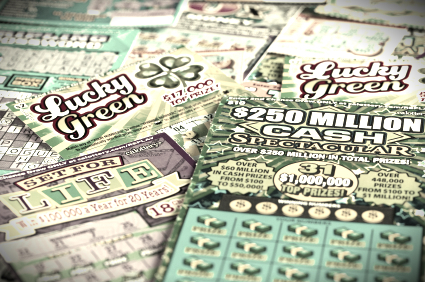 The class action suit filed by Zollinger’s team against, Oregon State Lottery and WMS Gaming Inc, which handles the software of video poker games, accuses both of fraud, negligence and unjust enrichment. Justin Curzi believes that all the video poker games offered by Oregon Lottery’s site are rigged and do not allow players to make moves as per their discretion. The petition states that people of the state of Oregon have been cheated out of $134 million in the years of operation since the online video poker was launched as they were misled into selecting “auto hold” feature. Though people have stated that like previous litigations against Oregon’s powerhouses the litigation too would be thrown out of court on frivolous grounds, both Justin Curzi and his attorney Jay Zollinger are optimistic that they will win the amount for millions of poker players of Oregon who have been cheated by this fraudulent practice. Instead of allowing the players to use the machine to win the game the auto hold option helps game providers to increase their revenues. Players are enticed into trying out “auto play” as it gives players the option of allowing the computer to decide the moves for them when they reach a dead end. Players used this option as they felt that this move would increase their chances of winning though operators knew that it would speed up the game as machine would pick wrong hand for player on purpose to end the game at the earliest. As the case progresses more information will be revealed about whether this “auto hold” option works for or against players’ interests.